Facebook, Google and Yahoo are doubling down on their quest for more transparency in the government—especially the intelligence community. Specifically, the three companies filed amended petitions to coerce the government into allowing them to publish details about FISA requests. The request comes just days after Yahoo and Facebook followed Google's lead and released their first ever transparency reports. Facebook particularly bemoaned the fact that they weren't able to provide an accurate number of government requests for data due to legal hurdles. These are the very hurdles that the trio of companies now want to take down. Yahoo general counsel Ron Bell explained the implications of the government's actions on the company's Tumblr, "Ultimately, withholding such information breeds mistrust and suspicion — both of the United States and of companies that must comply with government legal directives." It's to read about these valiant efforts to increase transparency, however, without thinking about the role that major internet companies played in NSA programs, though. 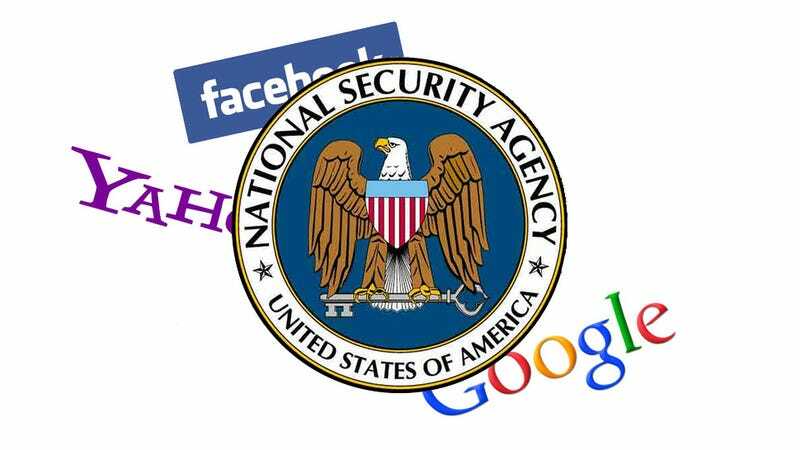 While they all denied giving the government "direct access" to their servers, Google, Facebook and Yahoo were all implicated in the PRISM program back in June. And last month we learned that the government actually paid the companies millions of dollars to cover the costs of PRISM—with your tax dollars.